Nicholas Sparks. The Longest Ride. New York: Grand Central Publishing, 2013. 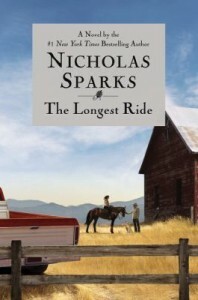 Nicholas Sparks returns with another solid effort that is sure to have readers everywhere reaching for Kleenex. The Longest Ride, Sparks’ seventeenth novel, weaves together two seemingly disparate love stories. 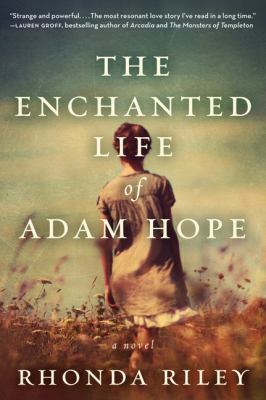 Readers might not immediately spot any connections, however, by the conclusion of the novel, Sparks stitches the two stories together with surprising poignancy. The first story concerns 91-year old Ira Levinson and his beloved and deceased wife, Ruth. As the novel opens, the combination of Ira’s failing eyesight and a snowstorm has caused him to run his car off the road and down a steep embankment. The front of his car has smashed into a tree, and Ira is lodged tight in his damaged car. From what Ira can tell, he has sustained several possible injuries. If he tries to climb out, with his age, his wounds, and the icy slope, he would never be able to make it back to the road. So Ira has no choice but to wait in his car until someone discovers him. While Ira bides his time, he imagines that his late wife, Ruth has materialized in the passenger seat of the car. She and Ira reminisce about their marriage. Their story starts in Greensboro. They met through their families. Ruth’s parents recently immigrated from the threat of Hitler’s burgeoning regime and Ira’s parents owned a local haberdashery. The courtship was slow and managed to endure through World War II. Ira revisits all the unexpected twists in their lives, some good and others bad. Ruth, or at least the fantasy of her, helps keep Ira conscious as he struggles to hold onto life. Sparks drums up a great depth of emotion and convincing detail with Ira and Ruth’s romance. Readers will feel invested in this plot line and will wonder what will happen to Ira. Will someone rescue him in time? Meanwhile, in the second story, Sophia, an art history major and senior at Wake Forest, has called it quits with her unfaithful boyfriend Brian. She has discovered that Brian has cheated on her once again. She insists to herself that this will be the last time–she is done with him. But slipping away from Brian’s clutches is easier said than done – as evidenced by her past failed attempts to break it off. As Sophia’s best friend Marcia puts it, Brian “is funny, good-looking and rich” plus he’s the most popular guy in his fraternity. Essentially, he possesses all the characteristics of a perfect catch (minus the infidelities, of course). Brian can’t accept that the relationship is over. He has followed Sophia around campus since the break up and she’s sick and a little bit scared of his stalking. During a weekend trip to a bull-riding competition with her sorority sisters, Brian approaches Sophia. Just before the confrontation escalates into something nasty, one of the cowboys intercedes and diffuses the situation. After the awkward incident Sophia and the cowboy, named Luke, become acquainted. Luke lives with his mother on a ranch near King. He competes in bull-riding competitions partially out of love of riding and partially to help pay the bills. Soon Sophia is spending all her free time with Luke. Marcia warns her against leaping so quickly into another long-term relationship and predicts that Sophia and Luke’s lives are headed in different paths. For a while, the pair is blissfully happy. Then the real world intervenes–Luke withholds a serious secret, and Sophia feels pressured about finding a job after she graduates in the spring. Can the new couple brave the strain from the outside world, or will the hard realities of life crush their relationship? Despite the surface differences, the two love stories mirror each other in several respects. Ruth and Sophia are both immigrants with who have an affinity for art and date rich, important men. Ira and Luke are the men who stand on the sidelines and come to marvel that such special women could fall for them instead of the obvious choice. Ira and Ruth’s tale is expansive in its recollection, but the actual story within the span of the novel is compacted given the parameters of the car accident in terms of time and space. Luke and Sophia’s romance is more spread out and has a longer time frame to develop. Sparks alternates between the two stories, told from the point-of-view of Ira, Sophia, and Luke. Together they play off each other nicely – one love story at its end and the other at its beginning. Lisa Williams Kline. Season of Change. Grand Rapids, MI: ZonderKidz, 2013. In Season of Change, the fifth and final installment of the Sisters in All Seasons series, Diana and Stephanie have returned with new challenges. The stepsisters overhear fighting between their parents, Lynn and Norm, and Stephanie unwittingly finds a brochure advertising marriage counseling in their bathroom. While the thought of another divorce makes Stephanie distraught and anxious, Diana acts nonchalant and indifferent about the evidence of marital discord. She tells Stephanie not to worry about the conflict. In Diana’s experience, not fighting is much worse than fighting. Soon after the girls suspect trouble, Norm and Lynn announce that they are taking a quick weekend vacation to reconnect and refresh their relationship. They have decided that Stephanie and Diana will stay for the weekend with Lynn’s parents who live on Lake Norman. Stephanie feels uncomfortable with that arrangement. She believes that her presence at Diana’s grandparents will be unwanted and out-of-place since she is their granddaughter through remarriage and not by blood. Her sensitivity is heightened because she is already nursing an open wound. Stephanie’s mother has been consistently unavailable when Stephanie has needed her the most, devoting her time to her new husband, Barry, instead of her daughter. The weekend of Norm and Lynn’s vacation, Stephanie’s mom has a trip to Asheville planned with Barry and she does not intend to cancel it for Stephanie. Meanwhile, Diana faces difficulties with her horse, Commanche, who has gone lame. She visits and cares for the horse, but she cannot ride him and is not certain when he will be well enough to ride again. Diana is also practicing driving, and not without some usual parental stress and novice mishaps. Throughout the series, Stephanie and Diana’s relationship has been rocky. Neither girl felt they could understand the other; shy and nature-loving Diana and social and artistic Stephanie clashed at first. They each wanted to sever the relationship between Norm and Lynn. Now, with what looks to be another potential divorce, the girls are starting to question their initial desires and to understand that they have grown more attached to each other than they realized. Do they really want to be separated? What will happen when Norm and Lynn return from their weekend vacation? 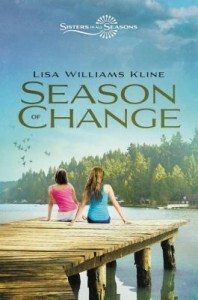 Novelist Lisa Kline has penned another absorbing book in her Sisters in All Seasons series. Diana and Stephanie are relatable characters, and their problems and adolescent milestones – divorce and family strife, boy trouble, summer jobs, driving, and more– are realistically portrayed. This is a great read for teen readers and readers fond of young adult novels to sneak in before the end of the summer. Anton DiSclafani. The Yonahlossee Riding Camp for Girls. New York: Riverhead Books, 2013. Thea Atwell has done something terrible. What teenaged Thea has done exactly is not clear, at least not right away. 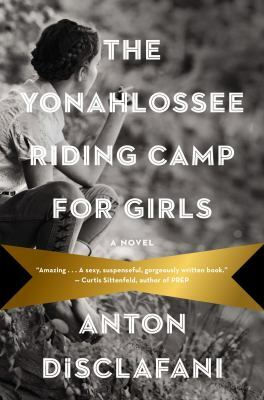 However, it is certain that Thea’s shameful actions have caused a rift in the Atwell family, so much so that she is shipped hastily from her insulated home near Emathla, Florida to the Yonahlossee Riding Camp for Girls in Blowing Rock, North Carolina in the middle of the summer. The sudden separation is a shock for Thea. Before her relocation, she lived in virtual isolation. Her family resided outside of town and Thea had few regular interactions with other people aside from her mother, father, twin brother, Sam, and a handful of immediate relatives. She feels acute pain and longing in her separation from Sam, her primary companion, in particular. Her absence severs their deep bond as twins. Upon and following her removal from her home, she questions the endurance of her family and their connection to each other. The novel is set in 1930, during the difficult years of the Great Depression. Thanks to the Atwell citrus farm though, Thea’s family has remained largely unscathed by financial burdens. They are not necessarily wealthy, but they are comfortable for sure. If not for her indiscretions, Thea might have continued without much notice of the Depression. Not until Thea is removed from her home does she begin to notice traces of financial insecurity and become more acutely aware of class differences surrounding her. Not surprisingly, the transition to the Yonahlossee Riding Camp, or YRC, is abrupt and disorienting for Thea. Everything at YRC is different from Florida: the land is mountainous rather than flat, the camp is populated by girls and Thea is unaccustomed to female friendship. The lifestyle and attitudes at the camp are quite alien to Thea as well. Although Thea is from the South geographically speaking, she does not feel Southern culturally, and she displays emotions of inferiority in her new locale. The fact that gossip clings to Thea, due to her mid-season enrollment, does not help her acclimation either. Nevertheless, she is befriended by a popular girl named Sissy who helps her through the social minefields of the camp. Despite Thea’s alliances, she is still snubbed by girls from more fashionable areas like Memphis and Atlanta and she develops a rivalry with Leona Keller, the top rider at the camp. Apart from Sissy, horses help Thea adjust to her surroundings. She is an expert rider. Her fearlessness for riding and her competitive nature benefit her in the ring. 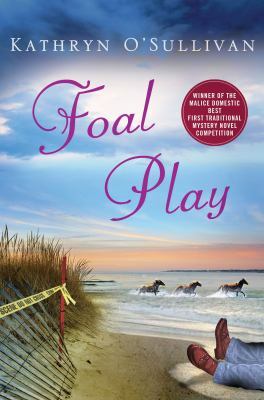 Novelist Anton DiSclafani’s equestrian background is apparent in her writing. Judy Reene Singer. Horseplay. New York: Broadway Books, 2004. Fed up with her life, Judy van Brunt quits her teaching job, leaves her philandering husband, and finds work at a North Carolina horse farm. Her instincts were correct: she finds happiness much easier to come by in the simple world of the horses. 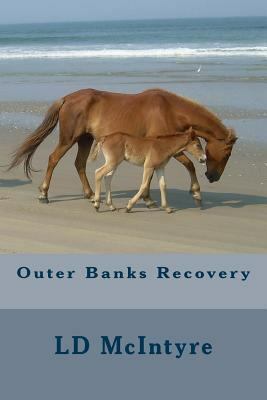 Singer writes with knowledge and humor about the equestrian world as she portrays Judy’s efforts at riding and managing thoroughbreds. Judy has some success with the horses, but their complicated and colorful owners prove more difficult to handle.